Hi Steemit! I can't belive I forgot to post this here, since it was something I was pretty damn proud of c: ! As you might know, I love painting metal because I just find it a very fun and relazing thing to do, and who doesn't love shiny stuff? 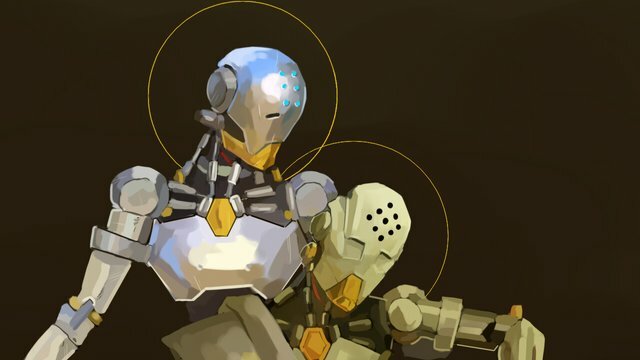 For a bit of backstory on the piece, for those who don't follow Overwatch's lore (cough not that there's much to follow cough) , these two robots are part of a religious order called the "Shambali" which began after omnics found enlightenment. Unfortunatly, not alot of people were very into that, which lead to the assassination of the order's leader, Mondatta (the one in white). 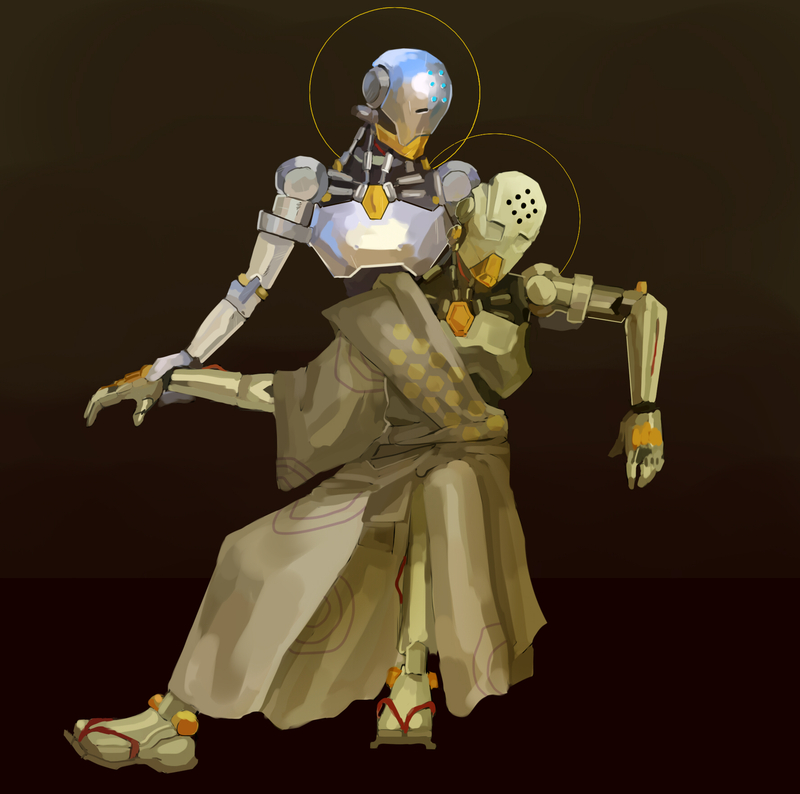 These two are as close to brothers as robots can get, and since the writers of Overwatch have yet to adress it in detail, I wanted to paint a piece of Mondatta's brother grieving while also incorporating some religious undertones, as well as basing the poses/colours/mood of the piece in old religious paintings. Anyways, you can watch the animated short where Mondatta gets... offlined, here.